Flexibility in Flight was founded in 2013 by Michael Farrow and Christine Roper, then purchased by Terra Meierdierck in 2015. We are Orange County NY’s Premier Aerial Studio, aspiring to provide our students with the cleanest and safest environment. We regularly wash our silks; all mats are wiped down after each use; we re-tape our Lyras; have a crash mat and provide mats for each student. At Flexibility in Flight, LLC (FIF), we have a heavy circus influence in our aerial style, but still do focus on our yoga practice. 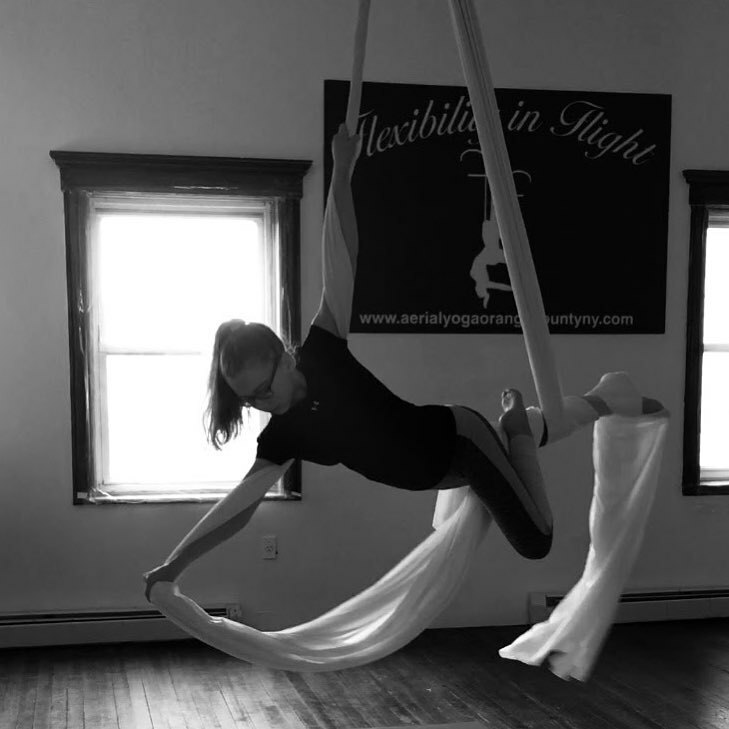 We offer classes for Aerial Fabric (Split Silks/Tissu), Aerial Hammock Silks, Aerial Yoga, Lyra Aerial Hoop, Burlesque Dance, Bellydance, Liquid Motion, Yoga, Restorative Yoga, Aerial Barre, Acro Dance, Tumbling and AcroYoga. Flexibility in Flight features Orange County’s only outdoor silk deck. Come visit our studio; fly with us; join our flight family.